The Maine Department of Agriculture, Conservation and Forestry has cleared an out-of-state egg processor of all allegations of animal cruelty at its Turner facility. The 70-barn egg production operation is owned by Hillandale Farms of Pennsylvania and was the focus of a Humane Society of the United States’ undercover filming operation last May alleging animal cruelty there, sparking the state investigation. “Following a thorough investigation, the DAFC, in consultation with the Androscoggin District Attorney’s Office, agreed that the [Maine] Animal Welfare Program has found no proof that Hillandale Farms violated Best Management Practices [and] was in compliance with best management practices consistent with Maine law,” John Bott, department spokesman, said in an email Thursday. According a final inspection report, prepared by Liam Hughes, director of the state animal welfare program, and redacted to protect the identity of the HSUS whistleblower who was an employee in the facility at the time, his office investigated allegations of hens sharing cages with dead and decaying chickens, cages and equipment covered in feces, buildup of chicken manure below cages, large numbers of live and dead rodents in the poultry barns and contaminated water. In the report Hughes said his office reviewed the 10-minute HSUS video in addition to unedited footage taken by the employee, who no longer works at the facility. Efforts to contact Hughes on Thursday were not successful. According to the report, after meeting with the former employee, the Androscoggin assistant attorney general, attorneys with the HSUS and Hillandale Farms in late June, a team from Hughes’ department made an unannounced site visit to the Turner facility at the end of July. While there, according to the report, the officials with the state walked through an egg-processing room “that appeared to be clean and in observable good working order” and into a barn housing thousands of laying hens. According to the report, the inspectors observed no obvious signs of rodents alive or dead, no build up of manure on the floors and noted the hens appeared to have plenty of clean water and feed, were not overcrowded and they did not see any dead chickens. However, the report did note “a very small portion of the cages within the barn” were actually inspected and the officials declined an offer by a company employee to tour any other barns on the property. On Thursday, Shapiro said the HSUS stands behind the video, which he said speaks for itself. Hillandale has consistently denied the HSUS allegations and on Thursday company spokesman Melanie Wilt said the state’s findings vindicated the company. Hillandale took over the operations of the Turner facility in July 2015, leasing it from Austin “Jack” DeCoster. 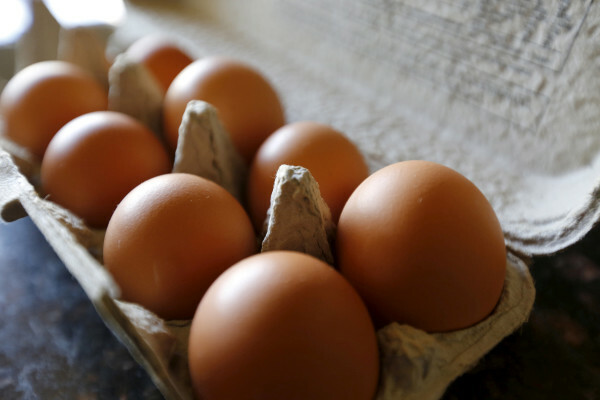 Austin DeCoster and his son Peter DeCoster were convicted of introducing adulterated food into interstate commerce after eggs from their Iowa farms were linked to a 2010 national salmonella outbreak. According to The Gazette online, based in Cedar Rapids, Iowa, U.S. District Court Judge Mark Bennett sentenced the DeCosters April 13, 2015, to three months in prison. He also required the men to complete a year of probation and pay $100,000 each. Quality Egg was fined nearly $6.8 million. In July, according to The Gazette, the U.S. District Court of Appeals 8th Circuit affirmed on a 2-1 vote the three-month sentences for the DeCosters, who have each paid their fines. On Thursday the Gazette reported the DeCosters filed a petition for writ of certiorari with the U.S. Supreme Court on Tuesday. The Supreme Court decides whether justices will hear the case. Since taking over operations in Turner, Wilt said Hillandale has invested in equipment and process upgrades to what she said were aging barns in addition to expanding training for employees there. On Thursday Shapiro said he was disappointed but not surprised by the state’s final report. “This is a department of agriculture doing the bidding of the governor that oversees it,” he said. Last June Gov. Paul LePage accused the HSUS of being “more concerned with fundraising than you are about the animals involved” in a letter to the group’s president Wayne Pacelle criticising the “tactics” of the undercover operation. This week at a luncheon during the Maine Agricultural Trade Show, LePage said he plans to ask the Legislature to draft legislation that would remove whistleblower protections from instances where political lobbyist groups use false pretenses to gain access. He said he also has sent a letter about this concerns with whistleblower protection of political groups to U.S. president-elect Donald Trump. On Thursday Shapiro said the undercover operation and calls to investigate the facility were “absolutely worth it,” despite the state’s findings. Wilt, meanwhile, stands by the company’s practices which she points out were upheld by the state.